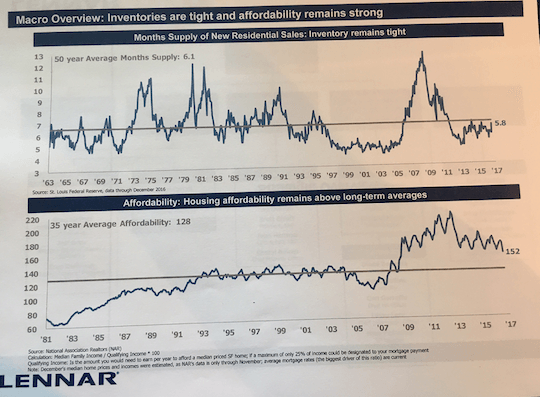 In a closed door session with Bruce Gross — CFO of Lennar Corp. (LEN), I listened to the details of the growing housing market crisis. Now I must be blunt — this is NOT the same kind of housing crisis the economy faced in 2007. Bruce explained the supply and demand dynamics, the chronic underinvestment in new growth opportunities, and the subtle evidence of inflation creeping back into the market. But something didn’t sit right with me. One of Bruce’s slides didn’t match what I’ve seen in my recent industry research. I couldn’t figure out where Bruce was getting his information. And if this new information was right, it was a game changer! I walked up to Bruce following the session, introduced myself, and immediately asked about “slide number 5” from the session. 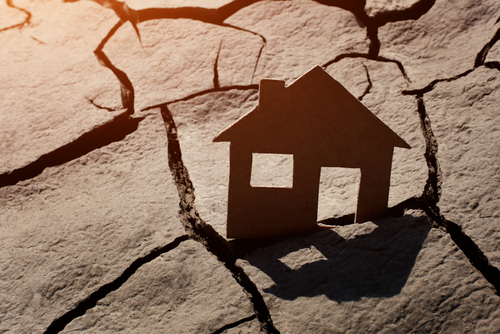 This slide confirmed not only that a new crisis was brewing in the housing market. But also that there was a lot of opportunity for investors who were willing to act quickly. Bruce smiled and pulled a document from his briefcase. He then flipped to the page with verified data pulled straight from the National Association of Realtors (NAR) which backed up his claim. The man certainly knew his stuff! I asked him if I could get a copy of the document – to review when I got back to my hotel. Bruce called his assistant over and asked if she had an extra copy. But Bruce was kind enough to let me take his own copy to study. “I can get another copy back at the office,” he told me. This week, I’m attending an invitation-only conference hosted by J.P.Morgan. 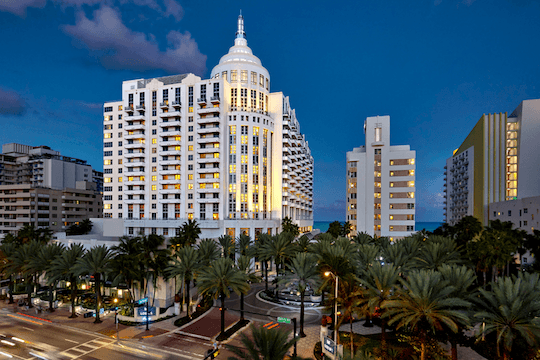 The event is being held at the Loews Miami Beach Hotel, just off South Beach. Exclusive conferences like these give institutional and high-net-worth investors a chance to meet with company’s management teams to learn more about what is going on behind the scenes. Since I still have contacts on Wall Street from my hedge fund days, I was able to call in a few favors and get an invite. The trip is already paying off in spades, with some great insight not a few key industries we’re invested in. In particular, I’ve got my eye on homebuilding companies. Because I’m seeing a new crisis emerging that will give alert investors some great opportunities this year. Here’s the crisis in a nutshell: There are too few homes available for sale, and too many buyers overwhelming the housing market. It’s a classic case of supply and demand imbalance. After the housing crisis, homebuilders got gun-shy. They quit buying land, quit building spec homes, and did everything they could to cut costs. The “defense” strategy worked for some time, but now we’re in a new crisis. There aren’t enough homes on the market! And that’s why I cornered Bruce after the presentation. I wanted to make sure this data was legit. Sure enough, the slide is backed up by hard data. “Smoking gun” evidence of a new housing crisis. One which will give home construction companies plenty of room to grow profits… One which will lead to more jobs, and support the U.S. economy. And one that will put cash in the pockets of investors who jump on this trend now — before it’s too late. I’ll be digging to find the best stocks to profit from this crisis. So stay tuned!